San Marino is the third smallest state in Europe and claims to be the world's oldest republic, founded in 301 A.D. San Marino's foreign policy is aligned with that of Italy, which surrounds it. Social and political trends in the republic also track closely with those of its larger neighbor. 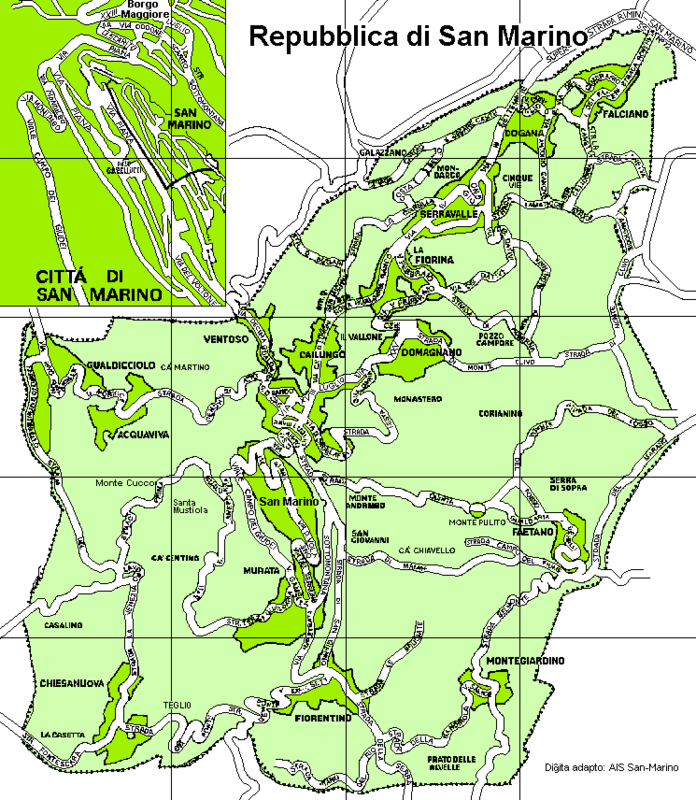 Map of San Marino (Small Overview Map). Map of San Marino (Overview Map). Map of San Marino (Political Map). Map of San Marino (Administrative Divisions). Map of San Marino (Street Map).